Vanuatu is a small island county in Melanesia. It proclaimed its independence in 1980 during the Coconut War. Many of the country's citizens have rejected European influence, therefore tribal chiefs still play an important role in the political system of Vanuatu. The constitution of the Republic of Vanuatu even created the National Council of Chiefs (Malvatu Mauru), an advisory body of tribal chiefs. Its members are elected by district councils of chiefs. The main task of the Council is to advise the government on the matters concerning traditional culture and indigenous languages. The Council does not have any real legislative power, but its advice is always listened to. Tribal chiefs also are very important people at the village level. Their authority is so great, that there even is a public holiday to honor the chiefs. 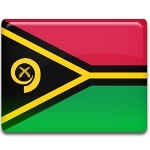 On March 5, Ni-Vanuatu pay respect to the chiefs and celebrate their national culture. The celebration of Custom Chief's Day includes lavish feasts, sporting events, carnivals, agricultural fairs, arts festivals, singing, dancing, and other festivities.